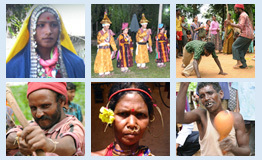 Malayan is one of the tribal communities in Kerala. They are speaking the Malayan language which is spoken by less than 10,000 speakers. Malayan tribes are mainly living in the four districts of Kerala (Trissur, Ernakulam, Idukki, and Kottayam). Data are collected from Trissur district.The Malayan people are calling themselves Malayamaar or Malayangudi but their name is in the government documents that Malayan only. Basically, Malayan belongs to Dravidian family. The people of Malayan speak Malayan language. Malayan is the name of their race and language. As the present generation is staying and studying in hostel for years, most of the time, they are not staying with their parents. So they speak Malayalam which is their medium of instructions, Middle age people also speak Malayalam. But only elder people speak Malayan to converse within the same age group. They are worshipping small stone that is called ‘Malaidheivam’ that means mountain god. They are telling that there is no idol for Malaidheivam, wherever they want to worship they will keep one stone and they can worship their Malaidheivam, nowadays they are worshipping Iyappan which is famous Hindu in Kerala as well as Murugan another Hindu god. Their main occupations are Honey collecting, Fishing, wood cutting, Gathering forest products and working as labourers in the forest government offices. Presently preparation of Malayan grammar, Trilingual (Malayan –English – Tamil) e -Dictionary as well as an ethnolinguistic report of Malayan language is in process.